Our cozy and friendly hostel is the first and only hostel in Zabljak, a place where you will be sure to feel at home! 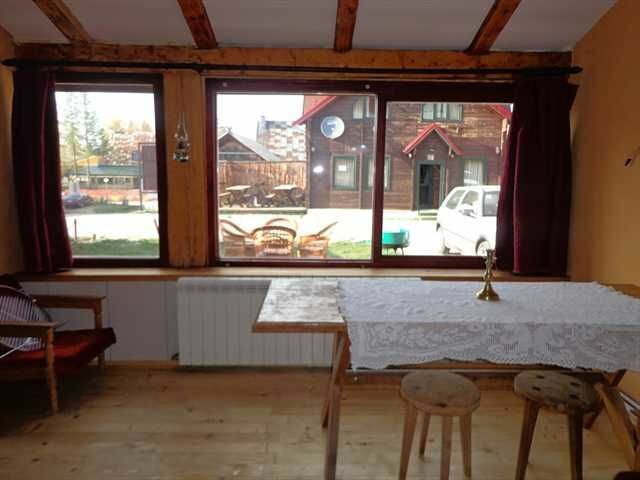 We have a comfy common area and a large front yard where you can chill out and enjoy the fresh air and beautiful surroundings of Zabljak. We offer 6, 5 and 4 bed dorms, as well as private double rooms, and studios. Every room has central heating. Rooms are spacious with beautiful views of the mountains and city center. - Free Wi-FI- Free coffee/tea and Rakia- Free BBQ/diner nights- Free hiking tours- Free archery/throwing knife practice- Free mountaineering/survival skills- Cheapest rafting tours- Unique canyoning tours- Mountain bike rentals- Cheap Jeep Safaris-Kitchen FacilitiesPlease note:Cancellation Policy: 1 day before the arrivalMethod of Payment upon the arrival: Cash onlyCheck In: any time between 11.00 - 22.00Check Out: 11.00 amBreakfast not included. Every guest is obliged to pay the amount of 1 Euro per person per night tourist tax, by the country of Montenegro Law of Tourism.